Welcome to Moming About's product review and public relations page. If you would like to know a little bit more about the blog or blogger, please read the About page and feel free to look at all other reviews I have done. Company is responsible for shipping, delivery, and cost of giveaway item(s). May take 2-4 weeks for review or giveaway to be posted. Once item is received, it becomes property of the blogger. No returns. All reviews will be honest and my own opinion. However, companies will be contacted with questions/concerns prior to reviews being posted. Other compensation can be discussed via email, if necessary. You may email at momingabout@gmail.com or through any of my social media channels. This blog is a personal blog written and edited by me. 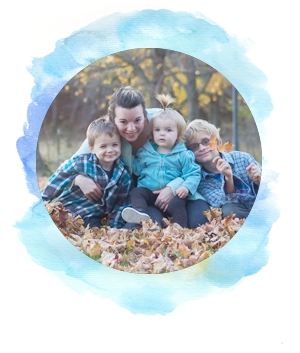 For questions about this blog, please contact Amanda (momingabout@gmail.com). If you disable cookies off, some features will be disabled. It shouldn't affect the users experience that make your site experience more efficient and some of our services will not function properly. However, you can still place orders, if applicable . We along with third-party vendors, such as Google and Amazon use first-party cookies (such as the Google Analytics cookies) and third-party cookies (such as the DoubleClick cookie) or other third-party identifiers together to compile data regarding user interactions with ad impressions, and other ad service functions as they relate to our website.